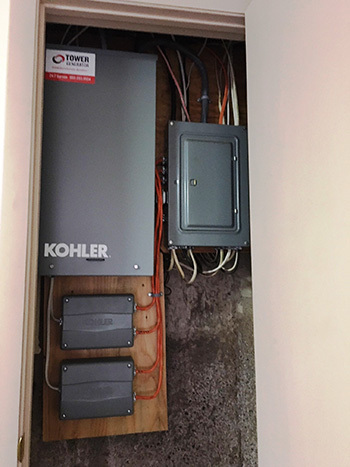 This homeowner was looking to improve the life of a loved one by providing generator power during an outage. Many people have stair lifts or other medical devices that allow them to live comfortably but without power, things can become more difficult. By installing a standby power system we are able to maintain a better quality of life for those who are reliant on such devices. We installed load management for the dryer and an air conditioner. This enabled us to provide power to the entire home utilizing a smaller, less costly and more fuel efficient generator.